Welcome back to another week of Weaning Wisdom Wednesdays. This week I am joined by Amy from Mama Mighalls. 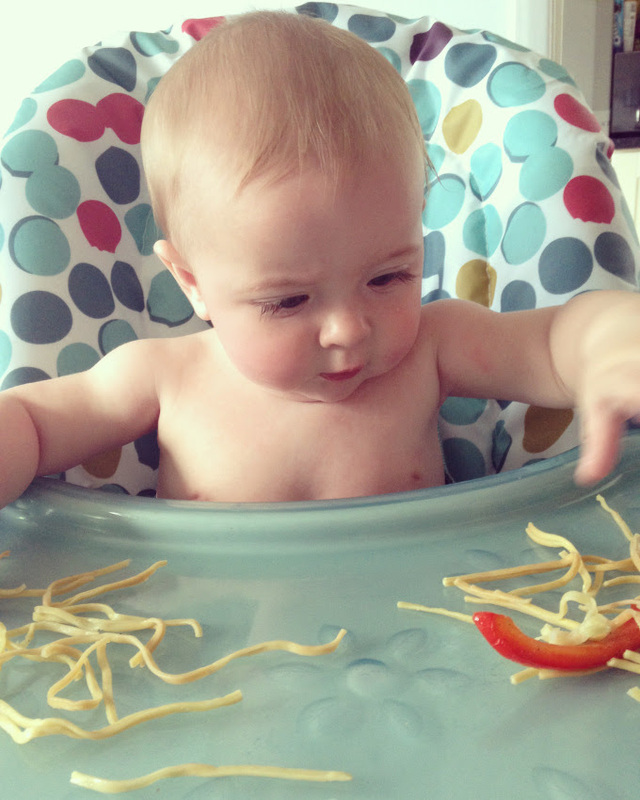 Amy blogs about a wide range of topics from toddler hauls to meal planning. Take it away Amy! My name is Amy, wife of Andy, mama to Jack 12, Ava 16 months and baby bump due in November. 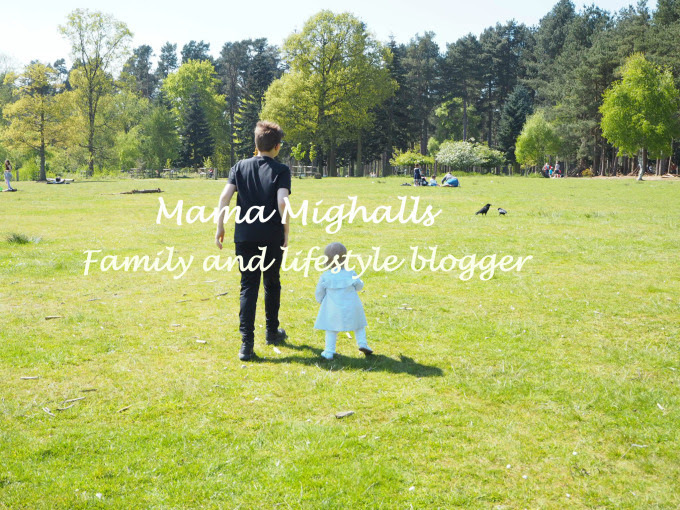 I blog and vlog about all aspects of our family life. With Jack I used puree’s as baby-led was pretty much unheard of when he was a baby. With Ava I attempted to start her with purees but she was not a fan of being fed so I decided to give baby-led a go and we haven’t looked back since. I will be completely honest and say we gave Ava her first taste of baby rice at 17 weeks, purely for selfish reasons that I was excited to start our weaning journey and I believed she was ready. I actually stopped weaning her after a couple of weeks and waited until she was closer to 6 months. I started cooking and pureeing all kinds of veg and fruit for Ava to try, all was going well until after about a week or so she started to faff about, refusing the spoon, spitting food out and generally getting distressed which in turn was making me stressed out. I decided to take a step back and research Baby-led in more detail, never in a million years did I think I would do baby led as I’m really not into mess, but I decided to give it a go. When Ava reached almost 6 months old we started making our family meals more suitable for Ava by not adding salt and avoiding anything too spicy, we all sit down to eat as a family so Ava would join us and in the beginning we would hand her some food off our plate, cooked veg, spaghetti, soft meat etc. It was lovely seeing her explore and try to pick everything up. She absolutely loved the independence so we just went from there, gradually adding more food to her tray until she was having her own meal. Currently we are trying to encourage her to use a fork and spoon to feed herself. Ava takes after her mama on the food front, she ate everything in the beginning, its only now that her taste buds have developed a bit more that she has real likes and dislikes. She loves fruit but isn’t so keen on vegetables, I have to be sneaky to get those in her! Because we took the baby-led approach I was confident that no matter where we went there would be something for her to eat, if we were not planning on going to a restaurant when we were out I would just pack a sandwich and suitable snacks in a bag for her. I actually bought two! The first one was a rather expensive Mamas and Papas one, I bought this because it reclined and was nice and padded, Ava wanted to be sat at the table with us from about 4 months otherwise she would cry, this highchair was fine as she was so young but when she started weaning properly it became a nightmare to clean. 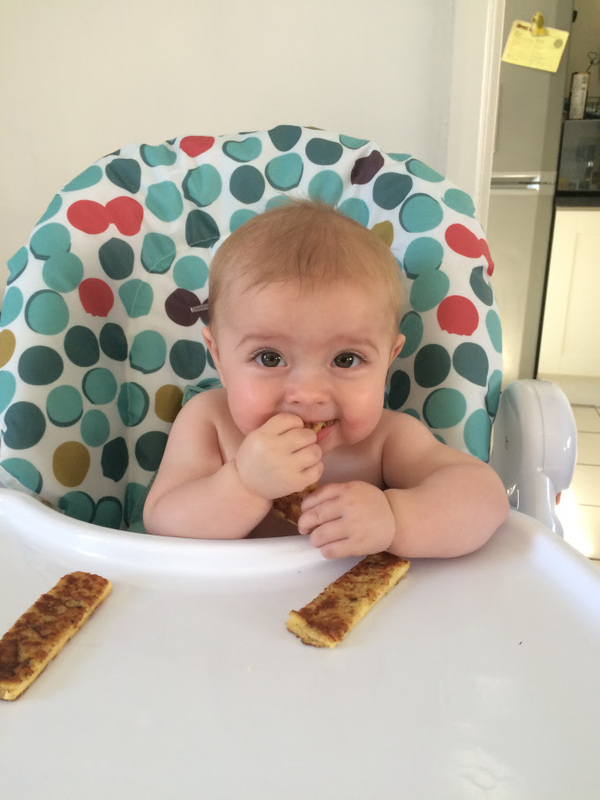 We decided to try the Ikea Antilop highchair after seeing so many good reviews especially from other baby-led weaners, and I can’t recommend it enough! It’s so easy to clean, a must for baby led weaners, and without the tray on it slides under our table so Ava can sit with us. I didn’t buy the padded insert but I will be next time as I felt she wasn’t supported enough in the early days and kept leaning to the side. Fast food isn’t really something Ava has much of, I’m not against the occasional maccies now Ava is older, although ava doesn’t actually like it! Personally I feel that fast food contains too much salt for younger babies. The mess! I don’t deal well with food smeared everywhere, it’s been a real challenge to sit back and relax and let her enjoy getting messy rather than rushing in with a wipe every 5 seconds. I wouldn’t say criticism as such, but my dad and older family members had a hard time getting their head around the fact she was eating unpureed food, especially my dad, he was convinced she would choke on everything. I’m a big meal planner, in the early days I made sure the plan involved finger foods for Ava but now I just meal plan as normal and she eats whatever we are having unless it’s spicy. I bought The Baby-Led Weaning Cookbook by Gill Rapley which has so much information on starting baby led and lots of recipes perfect for those first foods. Long-sleeved bibs are a must too. With my next baby I plan to do baby-led again, I wont by offering puree’s like I did with Ava, I will just start offering first finger foods around the 6 month mark. Relax! 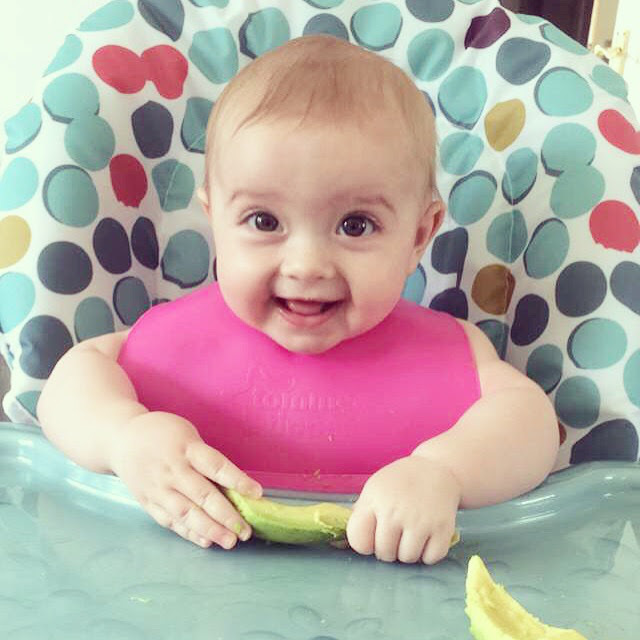 Allow weaning to be a stress free and fun experience, there’s no pressure to get your baby to eat full meals in their first year as they are still getting all their nutrition from their milk so just go with the flow and encourage them to explore as many different foods as you can. Have fun! Catch up with previous installments of Weaning Wisdom Wednesdays here. The mess is SO hard to deal with. I have to take a deep breath and remind myself that it’s helping develop skills – even when there’s mince EVERYWHERE! I used to stress about what food to prepare for my baby. I tried so hard to stick to what was advised by her pediatrician and listened to everyone around that I forgot it was supposed to be a fun thing for both me and the baby. I really enjoyed reading this article. It surely assured me. Thanks! !